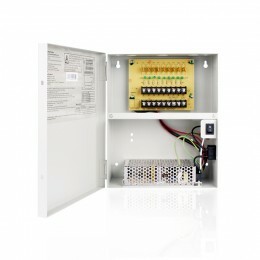 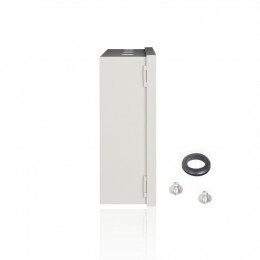 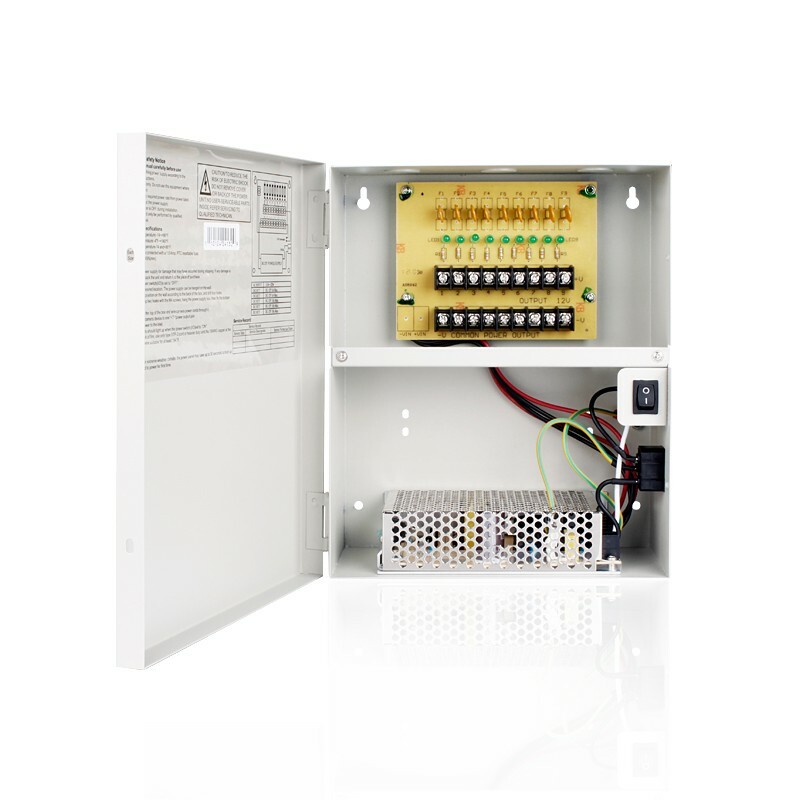 The power box converts AC 110-220V input into 12V DC power for up to 9 security cameras. 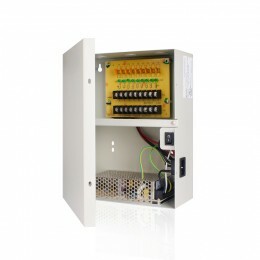 This power supply box includes 9 individual PTC protectors and 9 LEDs indicators for each camera output. 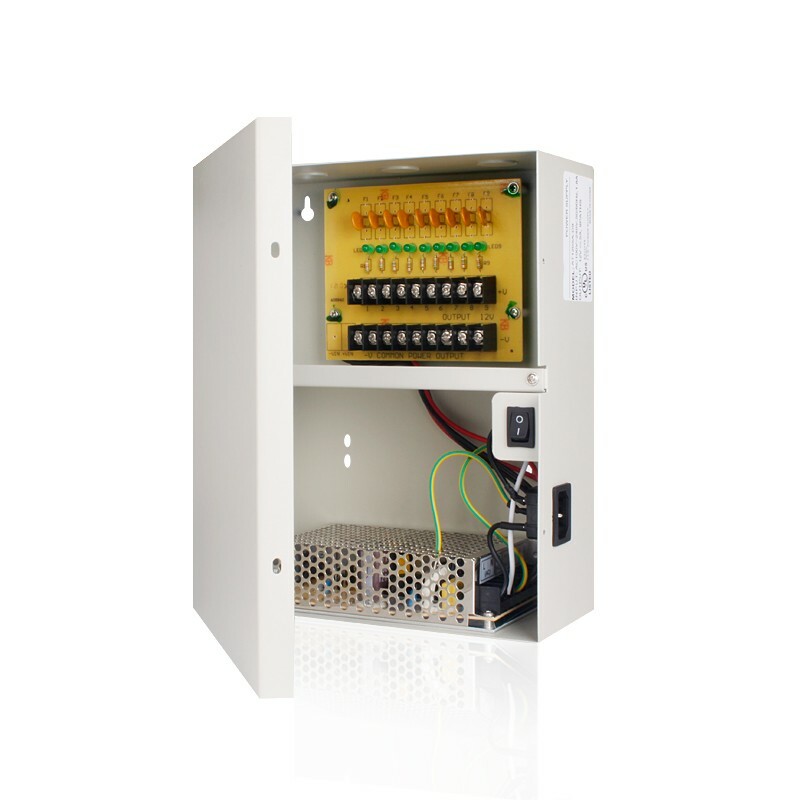 The PB-1059 is wall mountable and boxed in a rugged metal enclosure.